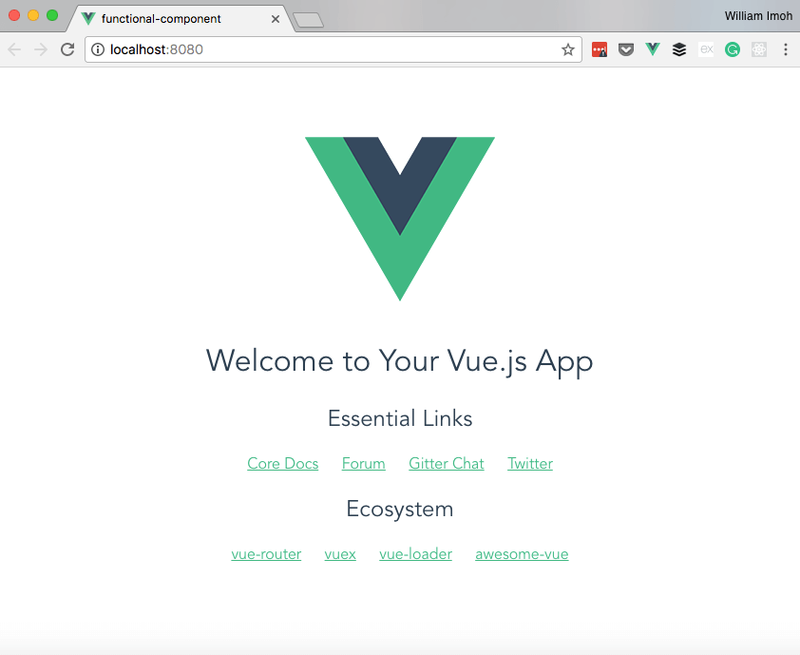 The announcement of Vue v2.5 came with much buzz to the Vue community and many improvements to Vue. One of these is the improved support for functional components in Vue. 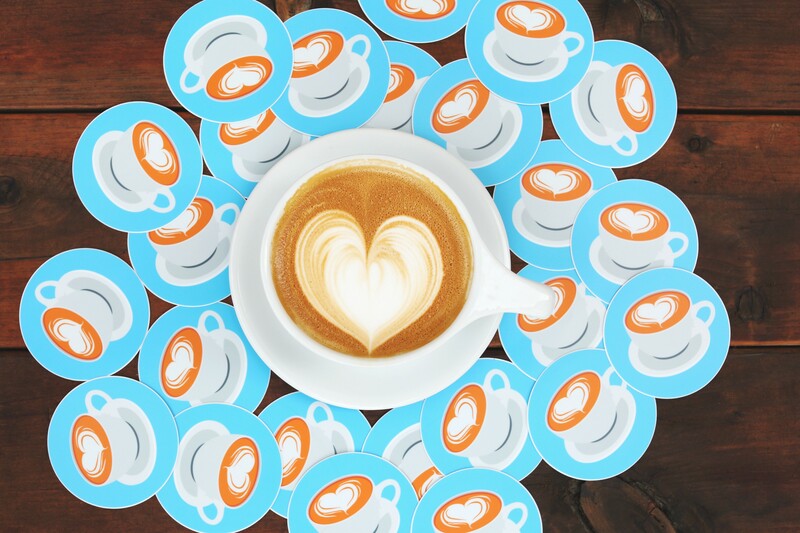 In this article, we will be cleaning up Vue components without state and instances (this) with functional components. Functional components are an alternative to the widely used Vue components. They use either render functions or are JSX components without state and instance. This means they have no data property or an instance of this. Functional components are functions. Note: Props in functional components may not be specified, in which case all props are received from the component’s node. When using functional components, the context argument is introduced to make-up for the lost state and instance. One may wonder why we have children as well as slot. This is because context.children refers to all child elements of the node whereas slots().foo refers to all slots with the name foo, and slots().default refers to all child element except named slots. These give us the flexibility to choose ways to target child elements. Let’s look at a simple conversion from a stateful component to a stateless on using functional component. In our stateful header, the createElement() function is used to create the header passing it arguments of the level props and the $slots.default instance for any child node. Since we have no data from this component, let’s make this cleaner by making it a functional component, thereby eliminating all instances of this and introducing the context argument to handle props. Notice how this.level is replaced with context.props.level and this.$slots.default is replaced with context.children. From Vue v2.5, functional components defined by single-file components can have the functional attribute in the template tags. This denotes the component as a functional one, eliminates the need to specify the functional property in and the component is treated outright as a functional component. Also, functional components have CSS in scope as well as hot-reloading features. I built a simple Vue project using the webpack-simple template to show a sample functional component. It is assumed that you have node and npm installed. 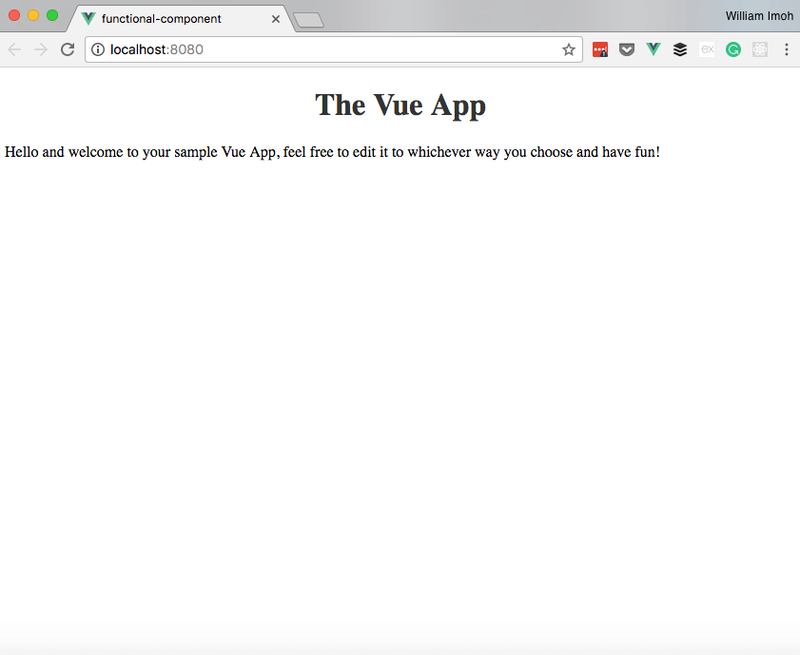 serves the Vue project on a development server on Localhost:8080. This is our parent Vue template, the app is built here. The app can be styled anyway, either the component is styled and the scoped attribute is used on the style tags as seen above to ensure that the styling is scoped to solely the component in view. Functional components are used because they are lighter and cheaper to render by the browser. Instead of using JSX or render functions, they are stateless and have no instance. With the release of v2.5 of Vue, functional components can now possess scoped styling as well as hot-reloading features as we have seen in the simple demo above.